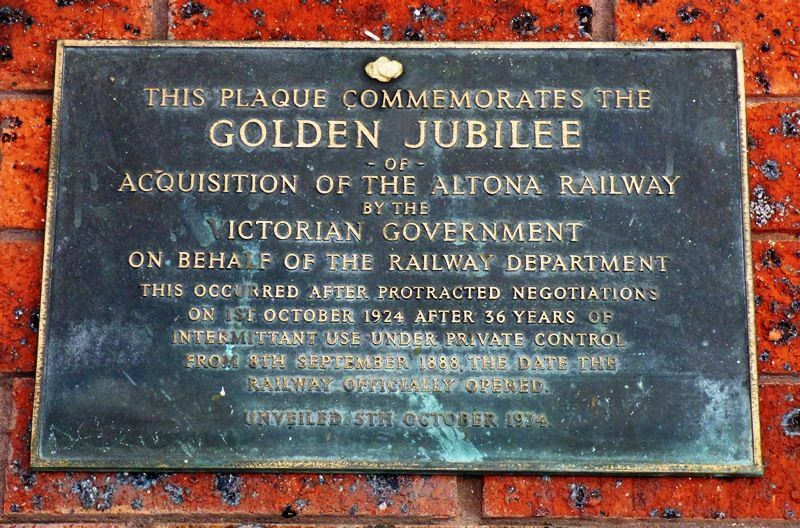 A plaque commemorates the Golden Jubilee of the Victorian Government acquiring the Altona Railway which was a private railway from 1888 to 1924. This plaque commemorates the Golden Jubilee of acquisition of the Altona Railway by the Victorian Government on behalf of the Railway Department. This occurred after protracted negotiations on 1st October 1924 after 36 years of intermittent use under private control from 8th September 1888, the date the railway officially opened.